It’s time to share my Three Cents Worth (3CW) on Curbed DC, at the intersection of neighborhood and real estate in the nation’s capitol. And I’m simply here to take measurements. …I wrote this post a few hours before the third presidential debate and since the topic covers foreign policy and the first two debates (plus the VP debate) had only scant mention of housing, I didn’t think I’d get anymore insights on what our policy makers think is happening in the housing market. Both parties clearly see no bonus points in bringing up a complex subject that won’t score any points (and only happens to be our nation’s largest asset class). [Three Cents Worth DC #205] Does The History of The DMV’s New Listings Predict The Next Housing Slogan? …No. But please read on. It’s been a while since I’ve placed a chart of Curbed DC, and even longer since I was politically correct (but hey, I’m really trying). 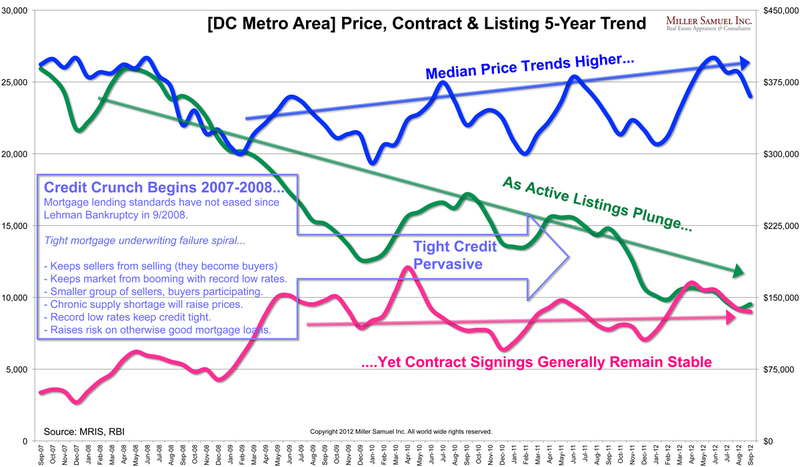 With the RNC underway and DNC up next, I thought I’d try to find some sort of correlation to the DC Metro housing market that coincides with the party of the president voted into office and their slogan/theme. Obviously the elections aren’t all about housing, but housing is very important in terms of its economic impact and “Wealth Effect” influence” on the US economy. Doh! I looked at MRIS’ awesome online resources and thought that new listing history might tell the story – I clearly went overboard so please indulge me. My thinking was new listings reflect people placing listings on the market in reaction to their view or opportunity with the world around them. Job transfer, lost job, trading up, cashing out, etc…. Comments Off on [Three Cents Worth DC #205] Does The History of The DMV’s New Listings Predict The Next Housing Slogan? 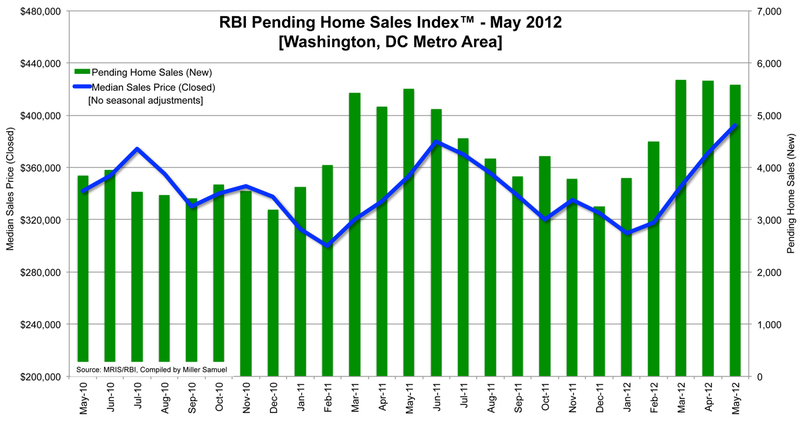 Rising inventory, flat sales levels and prices slipping…same news as March 2007. Here’s a sample of the charts available online. The median price paid at the end of July, 2007 was $452,167, a decrease of 1% from the same time period 12 months earlier. At the end of July, 2007, inventory was eight months, an increase of 24% from one year earlier. On the same day last week, Wednesday to be precise, presentations touching on the housing market were given by two influential financial leaders: Fed Chairman Ben Bernanke and James B. Lockhart III, Director of OFHEO, which oversees Fannie Mae and Freddie Mac (GSE’s). Both are accomplished individuals whose jobs influence the housing market to a certain degree. I am not sure which one I would have liked to have heard in person so could only hope for a double header. For the most part, financial markets have remained supportive of economic growth. However, conditions in the subprime mortgage sector have deteriorated significantly, reflecting mounting delinquency rates on adjustable-rate loans. In recent weeks, we have also seen increased concerns among investors about credit risk on some other types of financial instruments. Hopefully, the changes I have been talking about today will be continued to help place people into affordable housing without putting them and their neighborhoods into high- risk situations. It is my belief that Fannie Mae and Freddie Mac can do even more to help in what is one of their key mission areas – affordable housing. It is also my belief that to do so they must be fully remediated with strong systems to address the credit issues in this sector and that they need a strong regulator to help ensure that they are healthy, well-managed companies. We have both banking and mortgage oversight institutions caught unaware of the growing problems with subprime, we have a government agency responsible with the oversight of government sponsored enterprises (GSE’s) saying that it should be dissolved and a new oversight agency formed that would be more effective and we had lending standards drop sharply without reaction from regulators. So I think I am impressed with everyone’s intentions of fixing things, but don’t we need to understand what went wrong? How can we fix it if we didn’t see it coming? I think Congress was really asking questions of Ben that it could have been answered by James. The whole thing is backwards. Rising inventory, flat sales levels and prices slipping…sound familiar? The median price paid at the end of March, 2007 was $442,336, a decrease of 3.6% from the same time period 12 months earlier. 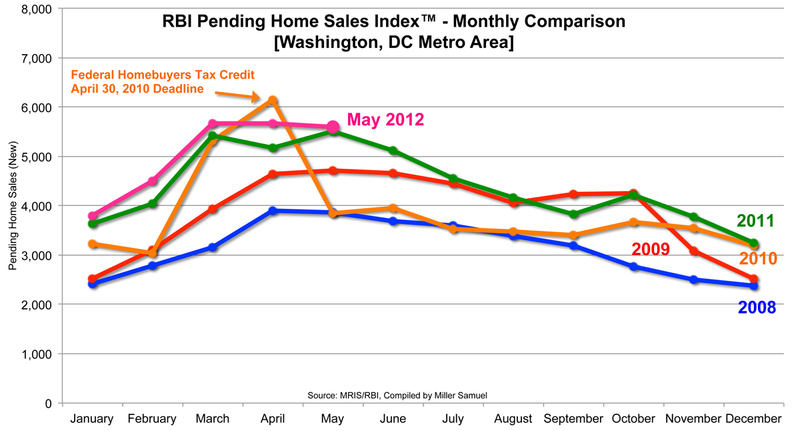 At the end of March, 2007, inventory was six months, an increase of 46% from one year earlier. Lisa Chamberlain wrote a particularly good article yesterday in the New York Times’ Square Feet column called Condo Conversions Switch Gears to Go Commercial. The story has applications to most metro markets, not just New York. And it seemed like it. Famous hotels, rental buildings, not so famous hotels, office buildings, affordable and middle class housing projects, old lofts and government buildings found a potential new use: luxury condos. But building permits reached 27,000 and a residential condo glut was forecast. However, the widely cited permit figure is the combination of many forms of housing such as rental and hotel, not withstanding, many of these deals never get done. Still its a big number and no one (self included) maintains a publicized list of what is coming online. With herd mentality firmly in control two years ago, everyone was talking about how bad the glut was in Miami and that New York was next. Sellers looking to cash out, threw their apartments on the market to see what they could get. Buyers became renters or could not get deep discounts in their negotiations. The slow down in demand caused the residential apartment inventory to nearly double from 2004 to 2006. Then a funny thing happened in New York last year, that didn’t seem to happen in the same scale as in markets like Washington DC, San Diego, Miami, Las Vegas, Pheonix and others. Developers of new conversions adapted to new uses in mid-renovation from condo to hotel, extended stay, offices and rentals. Our commercial advisory firm Miller Cicero began to see the tide turn in development sites and condo was not always the obvious choice anymore. Developers were seeing the market and were able to adapt. Still, the number of condo units coming online remains a concern. The law of supply and demand seems to be working here so far, but why? The office market has exploded in New York. For example, I fought for a 10 year deal with my office lease when vacancies were high and rents were depressed. My broker tells me the market rate on my office rent is up about 75% in 3 years since I signed the deal. In the past two years tourism has continued to rise causing virtually 100% occupancy during holidays and conventions, drawing concerns from the city government of damaging tourism. Rising employment has created demand for office space, and kept the demand up for housing while the weak dollar has kept tourism at record levels. And most importantly, individual speculators (aka flippers) never became a force here so residential development was not based on musical chairs (aka proverbial ponzi schemes). Everyone seems to be scratching their heads these days, wondering why the demand for owner occupied housing is rising right now, in contrast to the national market. Yet the core footing of the real estate market, in fact, seems to be real. I think that buyers in this market, as evidenced by the record jump in activity in the first quarter, have been converted.